BitLocker is a key feature of Windows, which allows users to encrypt and protect data stored on disk drives (such as a hard drive or USB flash memory) with a password to prevent hackers from accessing this data. But when it comes to forgetting your password, there's not much you can do to recover your encrypted data again. This is a feature in BitLocker where then there is no way to break the password or decrypt it illegally. 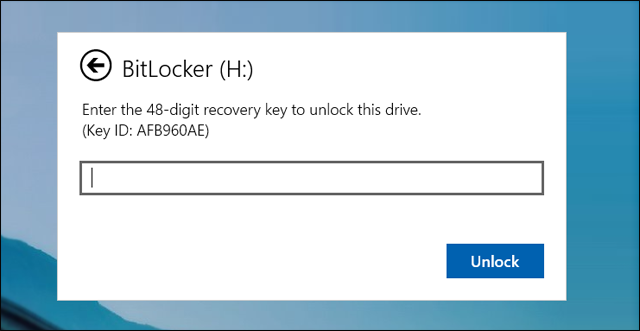 But before you lose hope in your data, let me explain the steps you should follow if you forget the BitLocker password. In this article we will not review illegal methods, software or a tool dedicated to decrypting BitLocker because there are no such things at all and do not believe any site or person that tells you that there is a way to break BitLocker protection - we will learn about the ways we can get On the Recovery Key as the only way to decrypt BitLocker when you forget the password, let's start directly. Fortunately, Microsoft provides users with several ways to save this recovery key to use if the password is forgotten to access data stored in the protected disk again. When you set up BitLocker and apply protection to one of your storage disks; You are prompted to select how to save the Recovery Key (as shown in the picture above) either by saving the Loopback key on a Microsoft account, saving it to a plain text file, or printing it on a sheet of paper. All you need now is remember the way you selected it. If you select Save to your Microsoft account, you are a Windows 8, 8.1 or 10 user because this option is not available in older versions of Windows. However, this option allows you to obtain the Loopback key through your Microsoft account and associated with the Windows version used on the device. All you need to do now is go to this link microsoft.com/fwlink/p/?LinkId=237614 then enter your Microsoft Account login data from your email and password. 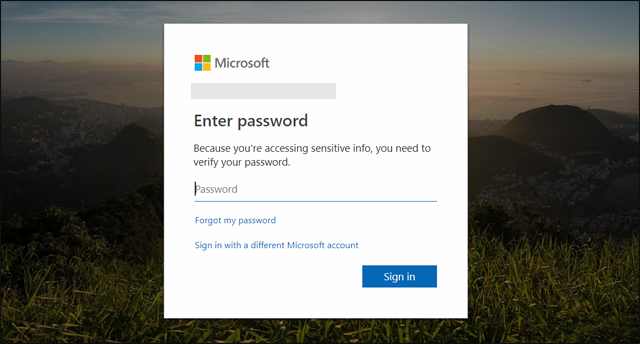 If you also forgot your password, you can click the Forgot my password option and follow the instructions that will appear for you to log on to your Microsoft account without problems. Once you log in to your Microsoft account, you will see the recovery keys below BitLocker recovery keys. If you encrypt more than one disk, you will find the recovery key for each disk and the date on which BitLocker is activated. By knowing this key you can easily decrypt and access data again as we will see later. But if you choose Save to a file, you will be prompted to specify where to save this text file - which contains the loopback key - anywhere on your computer. But if you forget where you've hidden and saved this file, you can simply open the File Explorer tool and type "BitLocker Recovery Key" in the search field in the upper right corner to search all USB flash drives connected to the device for a file with that name. Open it and get the recovery key again. In some cases you may delete this file from the computer by mistake such as delete Partchen without realizing that you saved this important file inside, or you did format or whatever reason to delete the file in the end. In this case, you can use the EaseUS Data Recovery program to recover the deleted files and examine the disk that contained that file. Once you have the Recovery Key or Recovery Key, you can easily decrypt by pressing right-click on the protected disk and then selecting Unlock Drive to show the password-typing field but you will press the More Options button and then choose Use Recovery Key and then paste 48 number or key And press the Unlock button to open the disc again so you can access the data that was encrypted. After you have trusted files after decryption, you can reset a new password or permanently disable the BitLocker feature if you do not want to use it again. Just open the Start menu and then open the Control Panel and then click on BitLocker Drive Encryption to display the control options next to the name of the protected disk, you can click on the Change Password option and then click Reset a forgotten password so that you can register A new password instead of the old one, but do not forget to save the recovery key again as it is changed once you change your password.